WHAT ARE YOUR DATES AND CUT-OFFS FOR CHRISTMAS 2018? Our last order date and time is 12pm on Tuesday 18th December. Any orders placed after this time may not be shipped until January, although we’ll do our best to get as many in the post as we can before Christmas. We will be completely offline for customer service questions on all platforms from 21st December to 4th January (officially… we might check in now and then). If your order didn’t arrive before Christmas, and you ordered it before 12pm on Tuesday 18th, just let us know and we can refund you when we return in January, or send a replacement. Please be aware, Royal Mail will deliver right up until the evening of Monday 24th December, so if your parcel hasn’t arrived by the 22nd, you still might receive it on the 24th. We are unable to send replacement deliveries any later than Tuesday 18th, 12pm. If you’d like a replacement for a missing item, let us know, and we will send it in January. We hope you have a very Merry Ginmas, and Happy New Year! We’re a happy bunch of gin lovers who run a Gin & Tonic club to help you discover your perfect G&T! 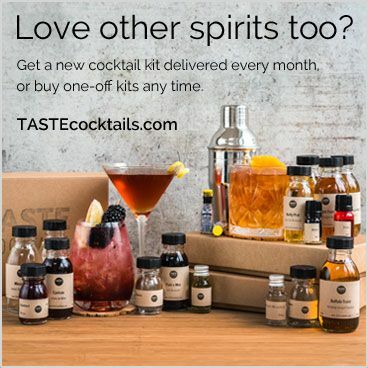 Members get a new G&T box delivered every month containing two craft gins and two unique tonics or mixers for you to try at home. We send out miniatures so you can try lots of new gins without having to buy full sized bottles, and we feature new tonics and mixers every month, so you’re not just drinking the same old tonics again and again. Members can also take advantage of exclusive discounts on full-sized bottles of gin and extra tonics from our online shop, and enter member-only competitions to win gin! You’ll also love our blog, where we share the best gin recipes, news, and fun gin related stuff. We post great daily content on Facebook, lots of great images and recipes on Instagram and Pinterest, and all sorts of gin videos on YouTube. Come join us! Am I tied into any contract/minimum number of months? Not at all, you can cancel and restart your membership at any time. Gift memberships bought up front for 3, 6 or 12 months can’t be refunded but the value (£14 per month) can be used to buy other items in our shop instead of the monthly membership. How often do you send boxes? Once a month. We charge members on the 15th and send your G&T box at the end of each month. Your monthly delivery is included in the £14/month membership price. Will I get a box straight away? Yes! As soon as you sign up, we send out a delivery of one of our previous boxes (or the one our members received that month), and then you are charged again on the 15th of the month for your next box. Bear in mind, if you sign up close to the 15th you might get 2 deliveries one after the other. If you’d prefer to get just the one, just let us know. For the ILoveGin club membership, recurring monthly payments are on the 15th of each month, and we ship boxes at the end of each month. If you’re buying individual boxes, bottles, or gifts, we charge you immediately at checkout, and aim to deliver in line with the information on each product’s page. Usually 5 working days. What kind of gins & tonics do you send? We love working with all kinds of brands, from the smaller gins you may never have heard of to those you have but may not have tried yet. We also make it possible for you to try new tonics and mixers to make sure you find your perfect G&T. See our past boxes here. How much & what do i get? The price is £14/month and this includes the monthly G&T box, delivery, members-only discounts in our shop, access to exclusive deals, recipes etc through our mailing list, and more! The G&T box itself contains 2 x gins (usually 50ml each) and 2 x tonics/mixers (usually 200ml each), and a booklet containing info on the drinks, perfect serves and garnish suggestions, and a ratings page to record your tasting notes. This works out at £3.50 per new G&T you get to try! We aim for each box to include 2 different gins, sometimes from the same gin distillery, and two different tonics/mixers, usually from the same mixer company. Sometimes a company will only have 1 gin or 1 tonic, and we may include 2 of the same bottle in your monthly box. If we do include 2 of the same gin, we’ll have 2 different mixers. If we have 2 of the same mixer, we’ll have 2 different gins. This ensures you always have a variety of G&Ts to try, and don’t forget that a different garnish or mixer can make all the difference! Most of the time you’ll have 4 completely different products to try. What products have members discounts? Members receive free shipping (£3) on all full sized bottles of gin, and £6 off all boxes of 12 tonics. Some other products on ilovegin.com/shop also have members discounts, and if you’re logged in you’ll see them marked as such as you browse. Yes! Check out our gifts page for some options. You can enter a different delivery address at checkout to send anything directly to a gift recipient. We also have gift wrapping and gift message options on many products. If you want to give the gift of a monthly membership, you can have the first box delivered to yourself to give the gift in person. If you buy a 3, 6 or 12 month membership (paid up front), we send only 1 box to the delivery address, but this includes a voucher for the recipient to redeem their future boxes online and set up their own delivery details. This means they also have their own account on the website to take advantage of other membership perks such as discounts and member-only competitions. Buying last minute? We also have a postal gift voucher, and digital gift voucher that can be sent via email immediately. Can i see some examples of past boxes? You can see the full list of past boxes in our shop. What happens if i want to pause, skip a month or cancel? You’re welcome to cancel your subscription at any time, in order to do so, please get in touch to see if we can solve your problem first! Please give us your feedback on why you’d like to cancel, and we may be able to offer you something that you’d prefer. Please note if you choose to pause, skip or cancel the current month and the box has already been dispatched we would need the item sent back to us in order to refund that month’s payment. If you’d like to pause or skip, we can set your subscription to re-start at a later date, so just let us know. If your voucher starts with 3mm, 6mm or 12mm, it is a gift membership, and can be redeemed on ilovegin.com/redeem. On this page you can choose to start a recurring membership, or only redeem the pre-paid months. If you choose the recurring option, you will need to enter payment details at checkout, to be used after your pre-paid months finish. If you choose the other option, no payment details will be required and your membership will end automatically after the pre-paid months. If your voucher does not start with 3mm, 6mm, or 12mm, you have a general “store credit” voucher which can be used to buy anything on the shop. Other discount vouchers can not be used in conjunction with your store credit. If your voucher doesn’t work please check you are not entering quotation marks into the voucher/coupon code box, and that you are including the “3mm-“, “6mm-” or “12mm-” part of the code, not only the following numbers. How do I change my Address/Payment Details? You can change your address and other account details on ilovegin.com/my-account. It’s possible to have a different default address on your account to the address for each subscription(membership) you own, so please make sure the address is also correct on ilovegin.com/my-account/subscriptions. You can add a new card on ilovegin.com/my-account/payment-methods. This will not automatically update your subscription or any pending orders. To use a new card for an existing order, find the order on ilovegin.com/my-account/orders. If your monthly payment failed (possibly due to insufficient funds, an expired card, or your card being declined by the bank due to fraud protection) you may need to check out again with the new card. You can find any unpaid orders in ilovegin.com/my-account/orders. Due to the nature of our product we can only currently deliver within the UK. International customers are welcome to buy for UK delivery, and your non UK billing address should be fine at checkout. Get in touch if you have any trouble. If you wish to get a refund for an order, please get in touch. We will need the box returned in its original packaging, if the refund is not due to damage/loss. We do not guarantee refunds for any orders regardless of the reason it is requested. All refunds are at our discretion. Any opened bottles can not be returned. Can I send you a photo of my awesome g&t (or anything else)? We’d love that and we might feature it on one of our social accounts, the best photos might even win free gin! My order has arrived but is damaged, what do i do? We’d love to hear from you! Please get in touch with us on the contact us page. 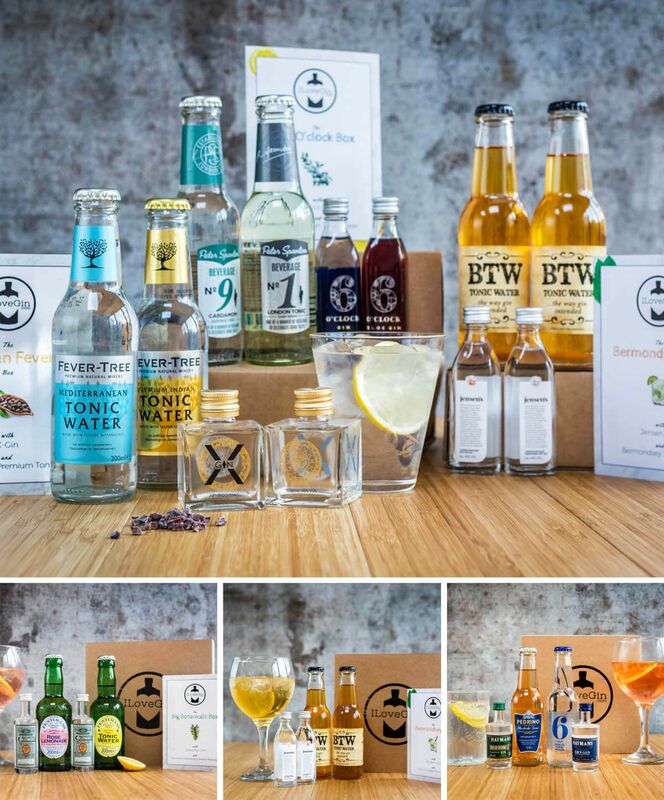 We’re always on the lookout for Gins and Tonics/Mixers to feature in our monthly G&T tasting boxes. We’re also happy to consider other related products such as snacks, cordials, botanicals, chocolates, etc. We may feature samples on our social media feeds, or on @the_gintern. If any of these don’t answer your questions then please get in touch with us via the contact page.